Often as children grow older, their participation in sports or similar activities increases. While generally encouraged, this greater activity does increase injury risk, especially to the mouth. In fact, the late childhood to early adulthood demographic is the most prone portion of the population to incur dental injuries. To complicate matters, their dental development is often incomplete, posing a number of treatment obstacles for an injured tooth. For example, the primary means for preserving an injured adult tooth is a root canal treatment: damaged or diseased tissue within the pulp, the tooth’s innermost layer, is removed and the empty chamber and root canals filled and sealed to prevent infection. But while a fully matured tooth can function without the nerves and blood vessels of the pulp, a developing tooth needs these tissues for continued tooth formation. Otherwise, tooth development can stall and cause problems later on. The most common solution for younger teeth is to remove any damaged tooth structure without disturbing the pulp if at all possible followed by a filling. That’s contingent, though, on whether we find the pulp unexposed or undamaged—if it is, we’ll try to remove only damaged or diseased pulp tissue and leave as much healthy tissue intact as possible. To aid with healing and tissue re-growth, we may also place medicinal stimulators between the pulp and the filling. 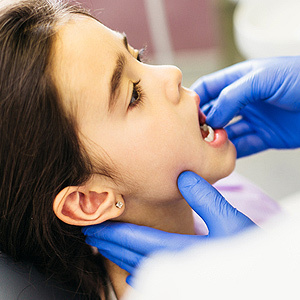 Jaw development may also pose a challenge if the injured tooth is too far gone and must be removed. Our best choice is to replace it with a dental implant; but if we install the implant while the jaw is still growing, it may eventually appear out of place with the rest of the teeth. It’s best to postpone an implant until full jaw maturity in early adulthood. In the meantime we could provide a temporary solution like a removable partial denture or a modified bonded bridge that won’t permanently alter nearby teeth. These methods can adequately restore the function and appearance of missing teeth until the jaw is mature enough for an implant. While injuries with young permanent teeth do pose extra challenges, we have effective ways to address them. With the right approach, the outcome can be just as successful as with a mature tooth.